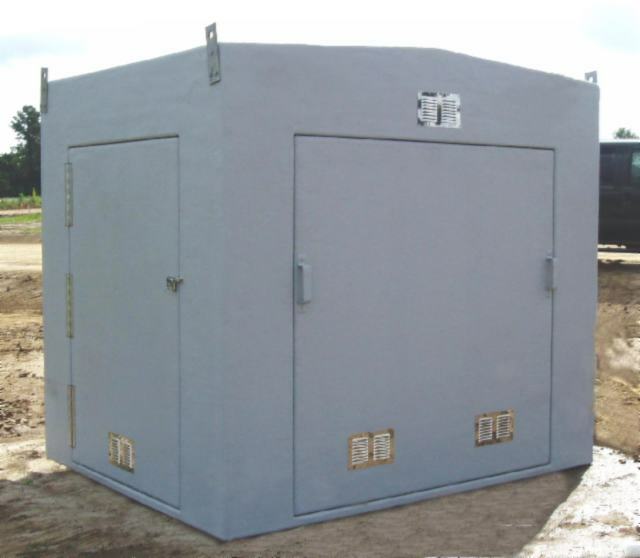 Fiberglass Enclosures - Buildings - Covers - Shelters - Housings - Fiberglass enclosures standardized or custom built to meet your specifications for industrial, commerical or municipal projects. Our buildings have been time tested for durability since 1972. Fiberglass buildings are fiberglass inside and out with or without polyurethane or styrofoam insulation sandwiched in between. 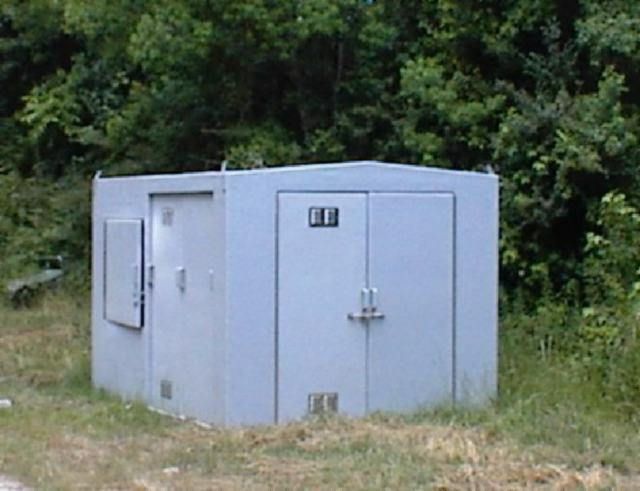 Fiberglass building with two doors. Vents on all sides. Heater and fan installed to regulate inside temperature. Fiberglass insulated enclosure for electrical distribution and controls. 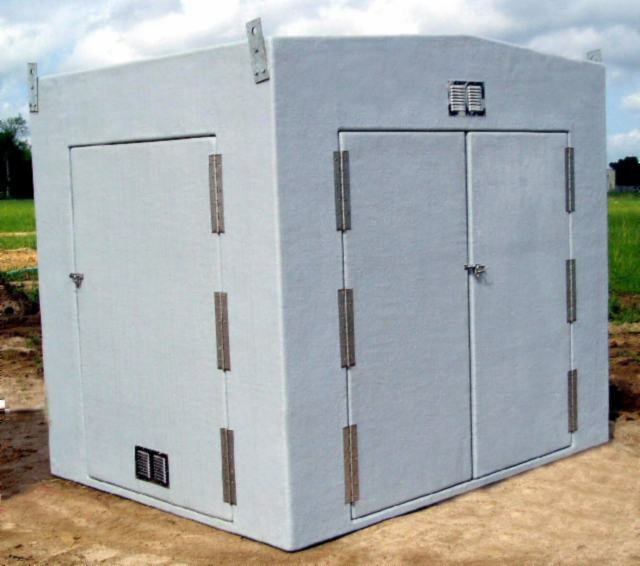 Fiberglass enclosures - buildings insulated. Opening are on all sides. Double door on front, single door on two sides and removable door on one side. These openings aid in working on inside equipment. Fiberglass buildings are gel coated inside and out for weatherability and overall appearance. Custom designed fiberglass building - enclosure with four doors to meet customer's design.